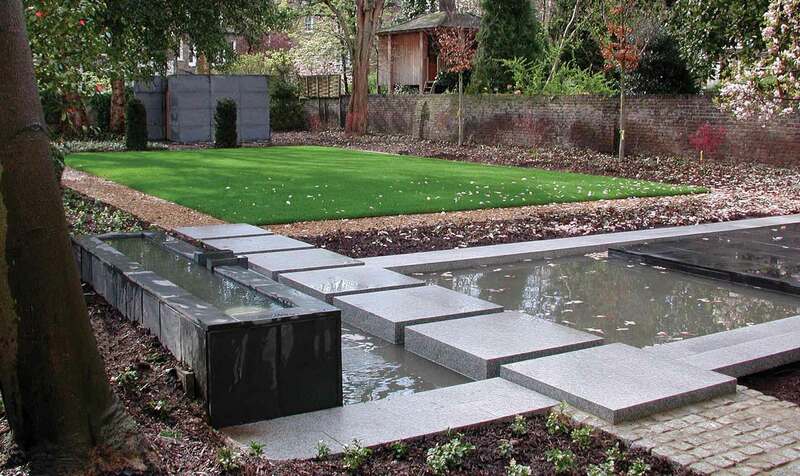 This modern garden forms part of a contemporary refurbishment of a five storey Victorian town house in central London and uses a simple palette of materials. Traditional stone, granite and slate have been combined in various sizes and textures to provide a bold and stunning layout. 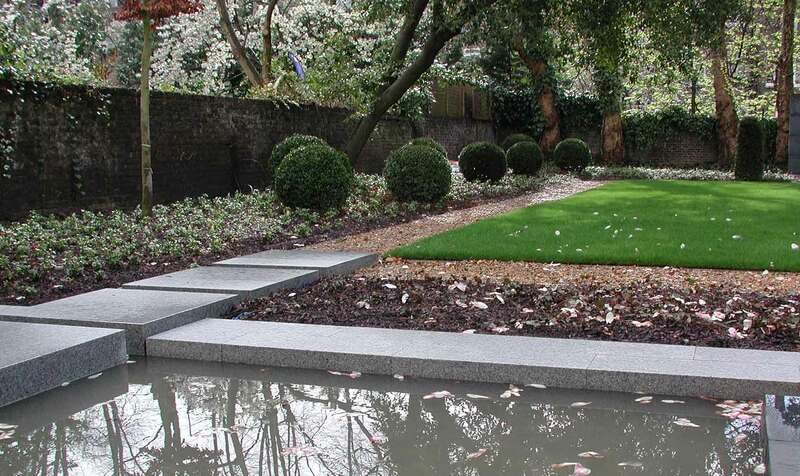 The garden has a great feeling of tranquillity and its simplicity is reminiscent of the Japanese style. 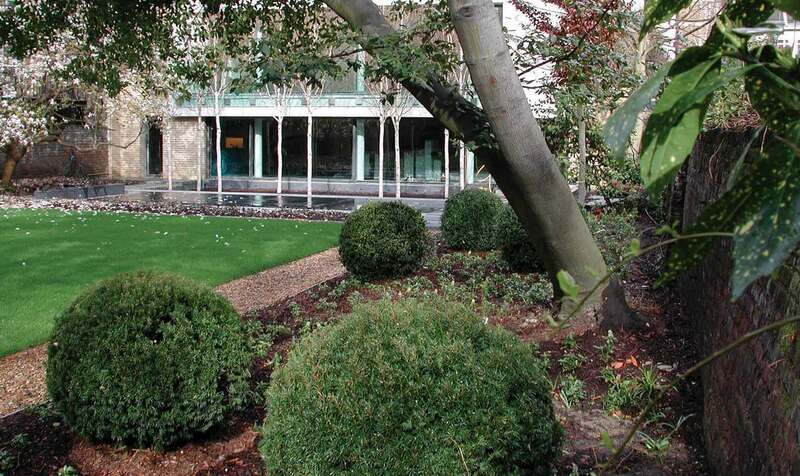 Existing trees and shrubs have been carefully incorporated into the design and linked with a selection of massed groundcovers. 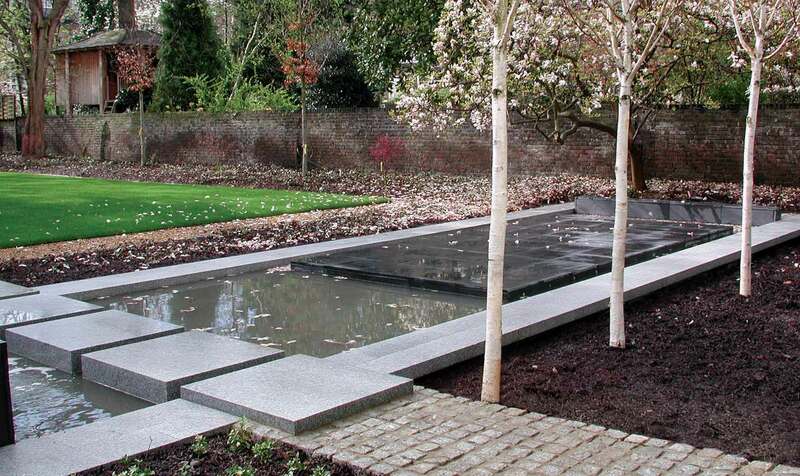 New accent / feature planting has been provided by semi-mature trees and shrubs imported from a leading German nursery. These were carefully positioned with the architect and client. 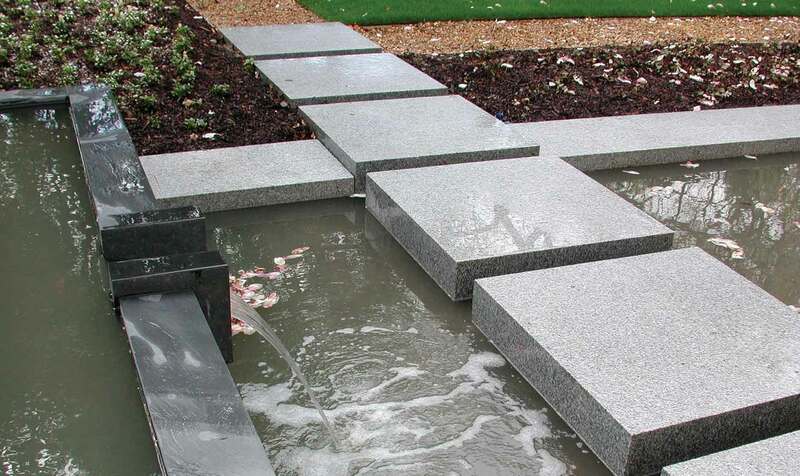 The lighting and water feature systems use the latest technology and are controlled by computer. Fibre optic lighting has been installed around the water feature and the main patios. This project required close supervision and precise craftsmanship. However the main challenge was overcoming the access problems and working in close vicinity to a 'fast track' building programme. The semimature trees and larger paving elements were all craned over a five storey town house from a busy London street!